Is there anything better than biting into a big, sweet, juicy cherry? They’re definitely in my top 5 for the best fruit. And trust me, that’s a tough spot to earn! I love pretty much any and all kinds of fruit. Except cantaloupe and honeydew. I don’t what it is, just get it away from me. 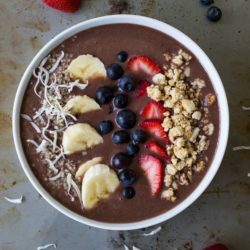 And stop putting it in ALL of the bowls of mixed fruit. Why do they always have to do that? All it does is make all of the precious grapes and berries taste like cantaloupe and then everything is RUINED! While you will probably never find a melon recipe on this blog that’s not watermelon, you will find plenty of cherry recipes! Actually, come to think of it, this might be my first one. 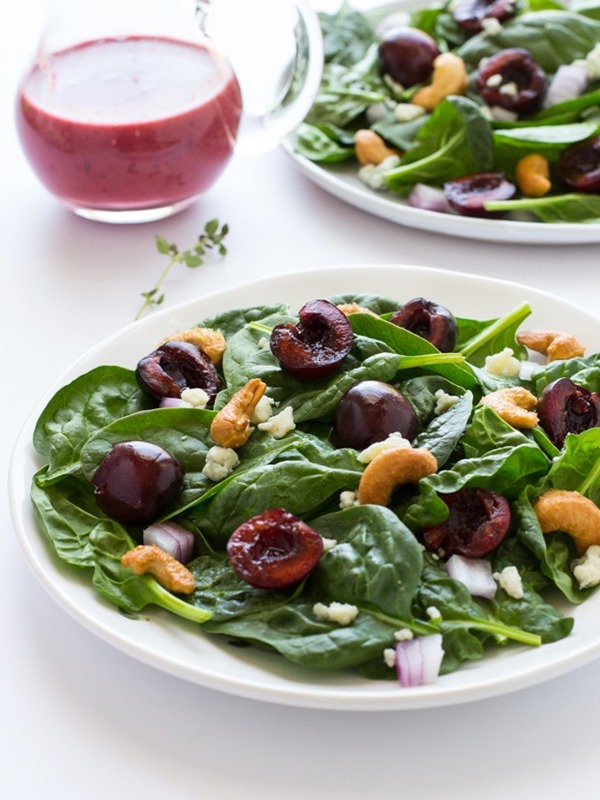 Anyways, this salad is a great way to put all of those beautiful cherries to use! The fresh spinach makes for a mild flavor that really lets the other ingredients shine. Like delicious maple roasted cashews. Try not to eat those straight from the baking sheet, I dare you. Ya, those are good but the dressing might be the main highlight for me. It’s a vinaigrette made with more of those juicy cherries, olive oil, white wine vinegar, and fresh thyme. I picked the fresh thyme from our herb garden which made it all the more exciting. I don’t know why but feel like I’m winning the lottery by being able to step out on our patio for something that I would normally have to drive to the store and spend $2 to buy. It just makes me so happy! Clearly Coco feels the same way. 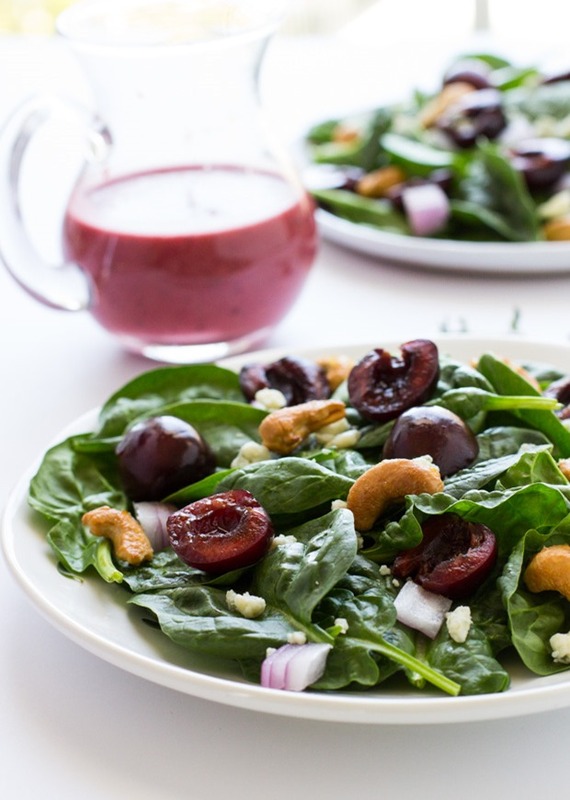 I hope you guys like cherries as much as I do because I have a feeling you’re going to love this salad. Bon appetit, friends! Start by preheating the oven to 350°F and then line a baking sheet with parchment paper. 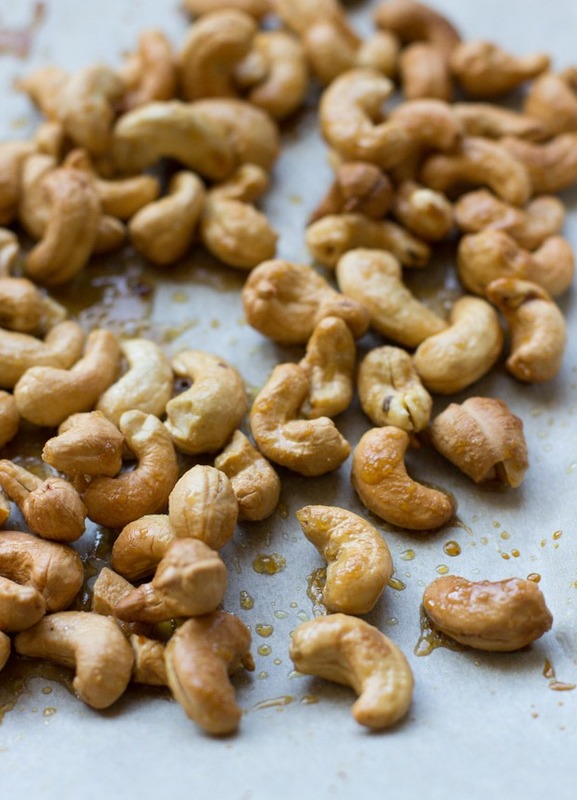 In a small bowl, combine the cashews with the maple syrup, olive oil, salt and sugar. Toss until evenly coated then transfer to the baking sheet and bake in the oven for 10 to 15 minutes (until light golden brown), stirring half way through. 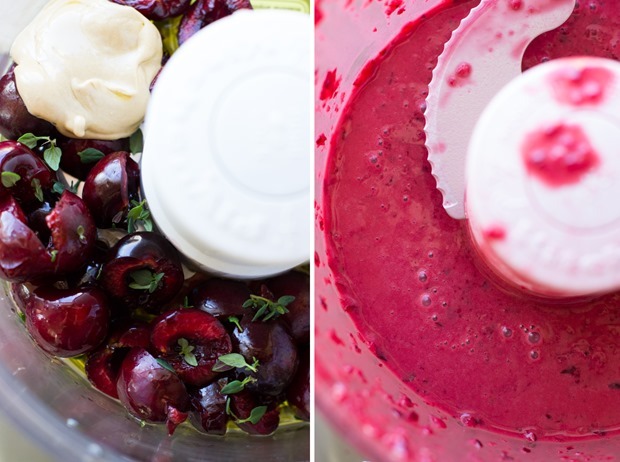 Meanwhile make the dressing by placing all of the ingredients (cherries to thyme) in a food processor and blending until smooth. Next make the salads by distributing the spinach on separate plates. Top with diced onion, fresh cherries, cashews and a sprinkle of gorgonzola cheese. Serve with cherry dressing and enjoy! I totally have cherries in my fridge right now and I never seem to know what to do with them all! This would be perfect. My husband loves spinach salads! Yum, what a beautiful salad to serve at a summer gathering. I totally consider cherries a true gift of nature! I love them so much! Myyylanta, this recipe is speaking straight to my soul! I LOVE a fresh juicy cherry, too, and roasting them up for vinaigrette?! Smarty McSmartsalot, I tell ya! Those cashews are making my mouf water MMM! 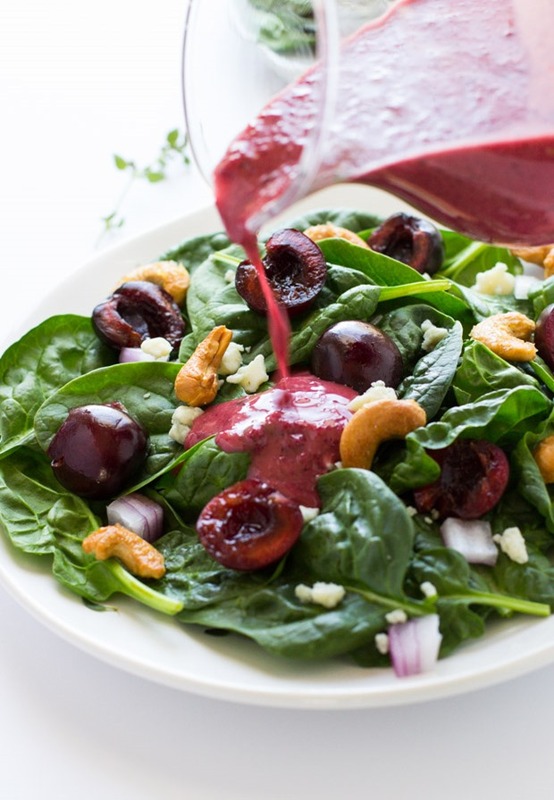 Oooh the maple cashews and cherry vinaigrette sound amazing! I single handedly just ate a huge bag of sweet cherries on my own in less than a week, so I share your love for the fruit. They’re so good! This looks amazing Sarah! I just bought a punnet of cherries and was eating them just before reading this! I’m going to have to buy some more now so that I can use them in this mouth-watering salad. I love the colours you used, and the vinaigrette sounds amazing. The photos are unbelievably stunning too – they’re seriously beautiful! I love salads like this! also love that you’re making use of your herb garden. I totally forgot to plan thyme this year so I’m thinking I need to run out and get some this weekend. Our basil plants are looking great, though, and I just can’t wait to get some fresh tomatoes so I can make a caprese salad! I’d pick cherries over cantaloup any day! This salad looks SO good. I’d totally gobble it up right away. 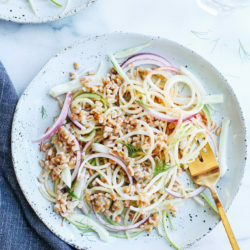 I love new salad ideas! 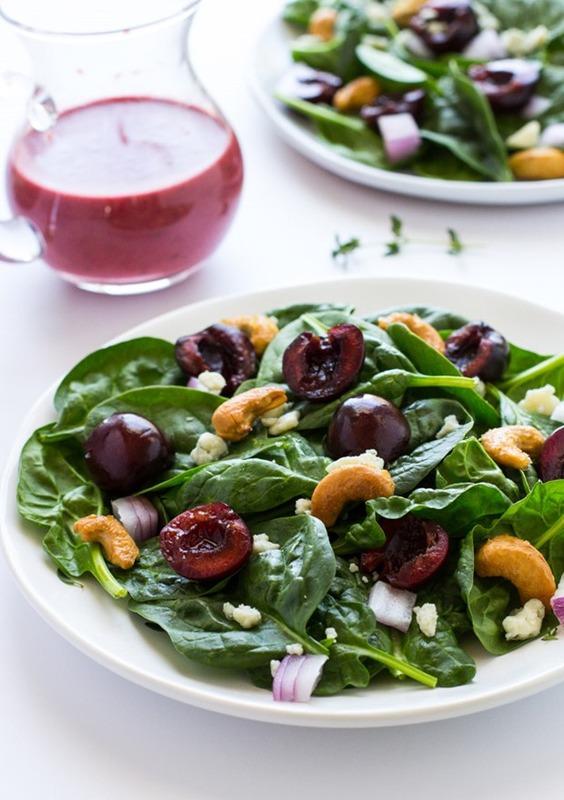 this ones looks so fresh and summer-y ;-) and the Cherry Vinaigrette looks so delicious! What a wonderful recipe! The cherry vinaigrette is just brilliant! Cherries are definitely one of my absolute favorite summertime fruit! 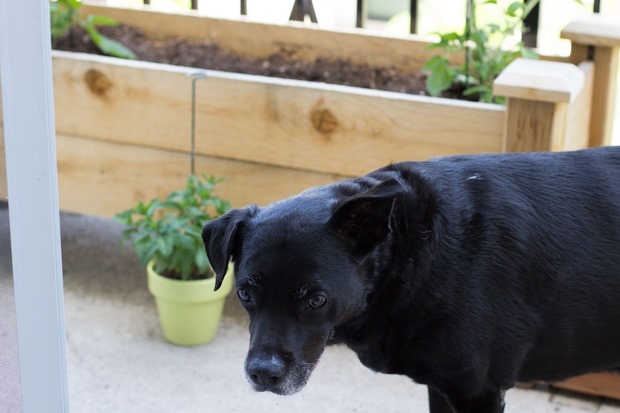 And yes, fresh herbs on the patio make me happy too! I grow parsley and basil and I absolutely love picking it fresh from the pot to add into my recipes. 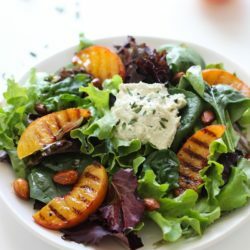 I think I’m getting cherries in my CSA box this week – never thought about turning it into a dressing however! That’s awesome you’re signed up for a CSA! I need to follow suit! 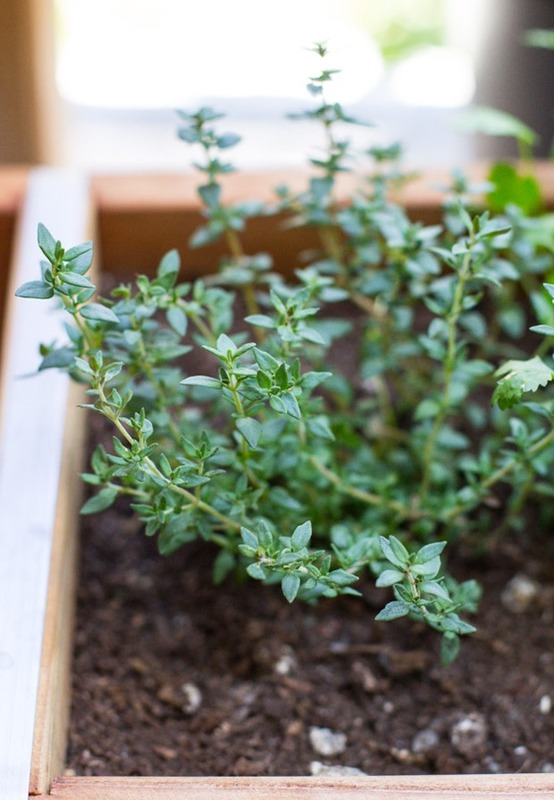 Herb gardens are the best… Your thyme looks so pretty! I’ve just planted several pots.. of everything but thyme, because the thyme is growing like mad in my yard! It spreads every year and I just let it go because when it blooms, the bees love it and I eat it like crazy! I think I’ll start putting it in smoothies this year! Ha! This dressing! 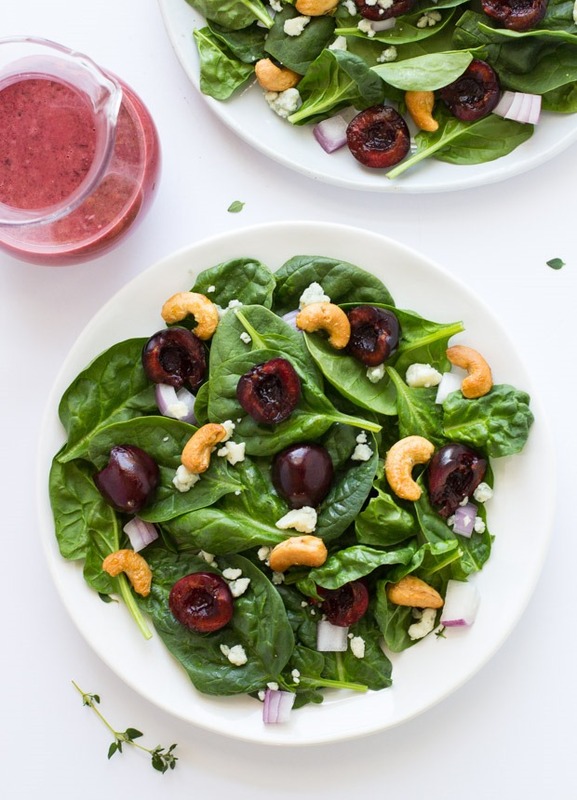 So much goodness packed into this salad.. the cherries! We’re still waiting for local to come in but they’re almost ready! We have two trees hanging over our fence.. our neighbor lets up pick… and we try to get to them before the raccoons, deer and crows! This will be on my list! 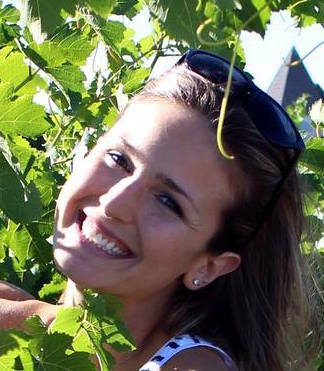 That vinegar – Napa Valley Naturals – I buy it too. 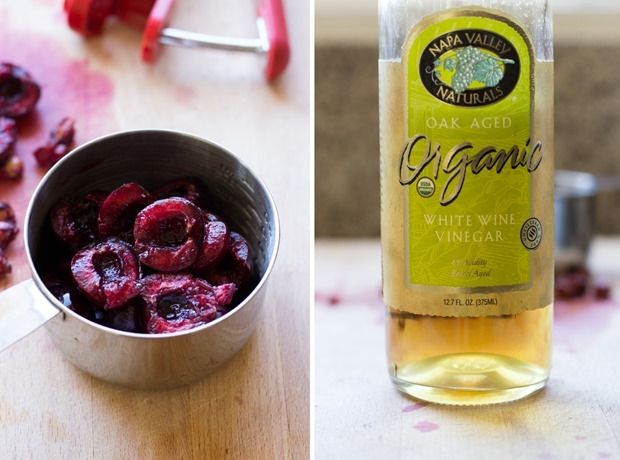 Have you tried their red wine vinegar? Thank you for this Sarah! The color on that dressing!!!! Just on that alone I need it in my life haha It does sound delicious too! As does the whole salad – those maple cashews…. That dressing is beautiful, but a little too strong for me. I was just wondering how I could both lighten and sweeten it a little? How much sugar would you recommend putting, and should I lighten it using water, olive oil, a bit of both, or something else? Hi Cynthia! I think using water would be a good idea to lighten it up. 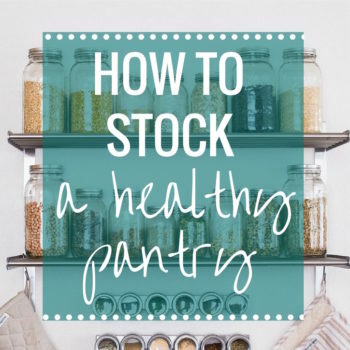 You could try adding a few teaspoons of pure maple syrup or honey to make it sweeter. I hope that helps! Hello! So how much would you recommend adding of each? I’ve been reading that a tip for many people who don’t like strong vinaigrettes is to add a “splash” of water. 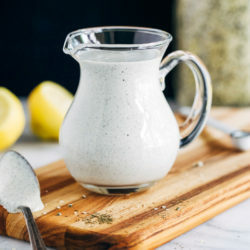 One person was saying that they diluted about a teaspoon of sugar in the water and then added that to their vinaigrette. What do you think? Have you tried adding either and seen what the resulting taste was? I’d start with one tablespoon of water at a time and taste test it from there. It really depends on your personal preferences. I like the dressing the way it is so I haven’t tried diluting it. I tried it last week-end. It was delicious! Thank you Sarah! Yay! Thanks for the feedback, Celine! SO GOOD! Love the consistency (held nicely & evenly to to the leaves!!) and flavor(!! 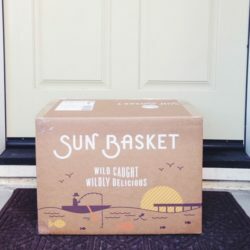 ); not too sweet – just right! Helped some friends pit their crop of organic sweet cherries last week and got to bring home a gallon of them (what a treat!). I tried this recipe this evening (using our home grown thyme (yay! ), cashews that were already roasted & salted, and feta bc we didn’t have Gorgonzola in the frig) and we really liked it! A do-over for sure in our house… thanks for sharing!